Fuel surcharges are an important issue for award travel enthusiasts, as these charges can make your award flight cost hundreds (if not thousands) of dollars in addition to your miles redeemed. In some cases, fuel surcharges, often termed “carrier-imposed surcharges” by the airlines, are so high that they can match or even exceed the price of an economy class ticket, eliminating most of the benefit of redeeming miles in the first place. Today I’ll look at which airlines do and don’t add fuel surcharges to award tickets and discuss strategies you can use to avoid them the next time you go to redeem your hard-earned points and miles. There are just a handful of programs that currently don’t impose fuel charges on any awards, including flights on its own metal and those operated by partners. For all its faults, United Airlines is not the only major international carrier that doesn’t add fuel surcharges to any award tickets. Any ticket you book with your United MileagePlus miles, including its Star Alliance and non-Alliance partners, will only include mandatory government-imposed taxes and fees, not fuel charges. United is a transfer partner of Marriott Rewards (with enhanced transfer rates thanks to the RewardsPlus partnership) and Chase Ultimate Rewards, giving you some easy ways to top up your account. The only other major frequent flyer program that doesn’t add fuel surcharges to any award tickets is also a Star Alliance member: Avianca and its LifeMiles program. You’ll frequently see lucrative buy miles promotions, and the program is also a transfer partner of Marriott Rewards and Citi ThankYou Rewards, though be aware that the program’s website isn’t nearly as user-friendly as that of United. At least for the moment, you can use your points and miles on these airlines without carrier-imposed surcharges (though you’re still on the hook for other mandatory taxes and fees). Of course, most of these airlines don’t offer any premium redemptions, so you have minimal opportunities to maximize their respective loyalty currencies. Alaska Airlines MileagePlan: This popular program only imposes fuel surcharges on award flights operated by British Airways. Air Canada Aeroplan: You’ll pay fuel surcharges on international award flights operated by Air Canada, but you can still book awards with no fuel surcharges so long as the flights are operated by Aegean, Air China, Air India, Air New Zealand, Avianca, Brussels Airlines, COPA, Croatia Airlines, EVA Airlines, Egypt Air, Ethiopian, GOL, Juneao Airlines, SAS, SWISS, Shenzhen Airlines, Singapore Airlines, South African Airways, Turkish Airlines and United Airlines. Plus, fuel surcharges on LOT Polish, Thai and Cathay Pacific are very low (Aeroplan miles can only be redeemed for select short-haul flights on Cathay). Al Nippon (ANA): This Japan-based carrier imposes fuel surcharges on award flights that it operates as well as the flights operated by most of its partners. There are no surcharges on short-haul flights operated by United or LOT Polish as well as any award flights operated by Air New Zealand, Avianca, SAS and Singapore Airlines. American AAdvantage: This program adds fuel surcharges to partner award flights operated by British Airways and, to a lesser extent, Iberia. British Airways Executive Club: This program has some of the highest and most egregious fuel surcharges of any airline, but you can avoid them by booking award flights operated by some of their partners, including Aer Lingus, Alaska and LATAM. In addition, American Airlines flights within the Americas do not incur fuel surcharges. Delta SkyMiles: This program is probably best known for its lack of award charts, but it also imposes fuel surcharges on many awards originating in Europe and has been known to add fuel surcharges to award flights on Aeroflot, Air Europa, Air Tahiti Nui, China Airlines, China Eastern, Czech, Kenya Airways, Malaysia and Vietnam Airlines. Flying Blue (Air France, KLM and others): Not only does the new Flying Blue program lead to some interesting pricing; it also adds fuel surcharges to most award flights. Delta and Aeromexico operated flights have little (if any fuel surcharges), while Air France and KLM flights have small fuel surcharges for economy class tickets and much larger ones for business class. Hawaiian: The only awards to which Hawaiian adds fuel surcharges are Virgin Australia flights, although those are lower than what Virgin Australia imposes on its own awards. Singapore KrisFlyer: This program does not impose fuel surcharges on its own flights, nor does it impose them on the following partner awards: Air New Zealand, Avianca and COPA. There are also no fuel surcharges on United Airlines or Air Canada flights within the Americas. Virgin Atlantic Flying Club: This UK-based carrier does not add fuel surcharges to the following awards: Hawaiian, Delta, ANA (domestic), Virgin Australia (domestic), South African (domestic and short haul), Cyprus Airways, and Jet Airways. For more details, see this post I wrote on how to use Virgin Atlantic miles without fuel surcharges. With all other major carriers, you can assume that fuel surcharges will be imposed on nearly all of their international award flights and many domestic ones as well. Iberia adds much lower fuel surcharges than British Airways, and you can use Avios on either airline. The Avios currency is shared by multiple carriers’ loyalty programs: British Airways Executive Club, Iberia Plus and Aer Lingus Aer Club. While Iberia does impose fuel surcharges, they’re far less than what you’ll find on British Airways, a carrier that is infamous for their horrendous added fees. 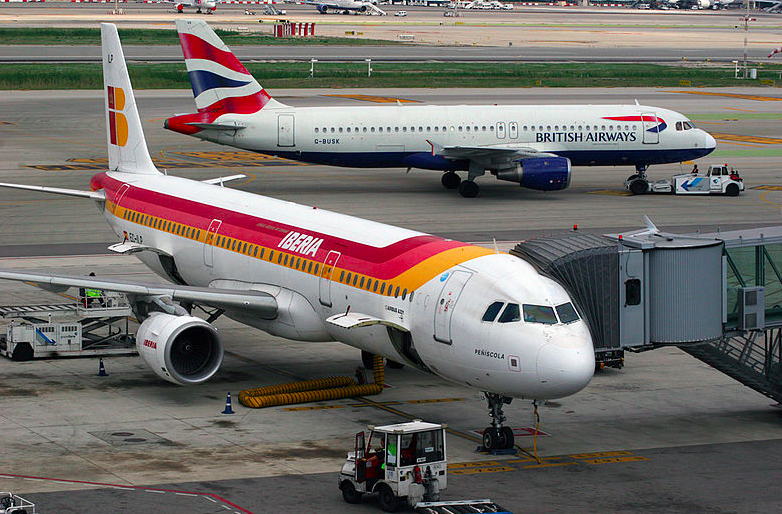 I’ve covered how to transfer Avios between British Airways and Iberia at no cost, and TPG Editor-at-Large Nick Ewen has written about just how much this can save you, so be sure to read those posts for additional details. There are three major reward programs that allow lucrative transfers of points to miles: Chase Ultimate Rewards, American Express Membership Rewards and Citi ThankYou Rewards (there’s also the Marriott Rewards program and its new scheme for transferring points to miles, though it isn’t at a 1:1 ratio like the others). The best thing about these programs is the flexibility; if you have points in one of these programs, you can transfer them to a frequent flyer program that imposes lower fuel surcharges or even none at all. In addition, each of these programs currently offers options to redeem points directly for paid tickets, which will incur no fuel surcharges and earn you miles. While these redemptions don’t always offer the best value per point, they’re good options if you’re trying to minimize the cash cost of your award travel, especially if your travel plans “force” you to take an airline that imposes fuel surcharges. If your flight starts in Hong Kong, you’ll pay no surcharges, regardless of the program through which you redeem miles. There are many destinations where awards don’t incur fuel surcharges within North America (including Hawaii) and South America. You could even avoid these entirely by starting from the right airport; the Hong Kong Civil Aviation authority, for example, has prohibited airlines from imposing fuel surcharges. That can translate to thousands of dollars saved if your family chooses to visit Rio or Buenos Aires rather than Rome or Paris. Ultimately, you should go where you really want to go (within reason), but if you’re trying to decide between two otherwise equal options, pick the one that won’t force you to cough up extra for surcharges. Even when a program does impose fuel surcharges, the cost can vary dramatically depending on which carrier operates the flights. For example, award flights on LOT Polish, Cathay Pacific, and TAP Air Portugal will have fuel surcharges when booked through most frequent flyer programs, but they can be as little as one third the amount added to flights on other carriers. In addition, international award flights on Air New Zealand, Aeromexico, LATAM and Saudia generally have no fuel surcharges, regardless of which carrier issues the award. If you’re stuck with an award flight that has fuel surcharges, there’s still hope. You could try to change your flight to one that has no fuel surcharges and receive a refund if space opens up. In some cases, you can even make these changes for no fee. For example, with awards through the American AAdvantage program, you can change the travel dates, routing, carrier or even class of service for free (as long as the origin and destination remain the same). Some other carriers offer free or discounted changes to award tickets for those with elite status. When airlines change their schedules, travelers can often get a carrier to “force” additional award availability to rebook an itinerary. Finally, in the event that weather or mechanical delays cause an involuntary rerouting, travelers can receive a refund for taxes and fuel surcharges paid on flights that they never flew. For example, back in 2014, I redeemed AAdvantage miles for me and my daughter to fly to Europe on Iberia. However, when we were rerouted on flights operated by American (and not subject to fuel surcharges), I was able to receive a total refund of $268.20 from American Airlines. Here’s the refund I received after my American AAdvantage award travel changed from Iberia to American operated flights. For more information, read my post on Travel Refunds: How to Save Money After Your Trip. Some credit cards, including the Barclaycard Arrival Plus World Elite Mastercard or Capital One Venture Rewards Credit Card, allow you to redeem points for just about any travel expense. If you’re stuck paying fuel surcharges on an award ticket, you can use the points earned from these cards to cover the cost without a cash outlay. Other cards, like the Citi Prestige Card and Chase Sapphire Reserve, offer an annual credit for airfare or other travel purchases, and since you’re booking through an individual airline, it will likely count towards these thresholds. There are also several cards, including the Bank of America Premium Rewards credit card and The Platinum Card® from American Express, that will reimburse you for certain airline incidentals liked checked bag fees or lounge visits, and you may find that award travel fees (including fuel surcharges) will count towards these amounts. However, the amounts and terms of these statement credits vary, so check with your card issuer to see if fuel surcharges are eligible for reimbursement. A final option would be to redeem points directly for the flights in question, as this would remove both the fuel surcharges as well as the cash outlay. For example, the Chase Sapphire Reserve offers you 1.5 cents per point when booking travel through the Ultimate Rewards Travel Center, while the Citi Premier Card allows direct airfare redemptions at a rate of 1.25 cents per point. On a recent trip to Europe, I was able to purchase several discounted, short-haul flights with a minimal outlay of points and no dollars. In contrast, an award booked through a program would have set me back even more miles, and I also would’ve incurred quite a bit of taxes, fees and fuel surcharges. And as a bonus, you’ll even earn miles from the trip! For more information read my post: The Sapphire Reserve Math: When to Book Travel Through Chase and When to Transfer Points? As the saying goes, “There’s no such thing as a free lunch,” and fuel surcharges tacked onto award tickets are proof of this exact economic theory. Fortunately, there are some simple strategies you can use to avoid these extra fees or at least minimize their impact on your wallet. Hopefully this post will help you plan your next award trip without breaking the bank! Featured image by Marcio Rodrigo Machado/S3studio/Getty Images.